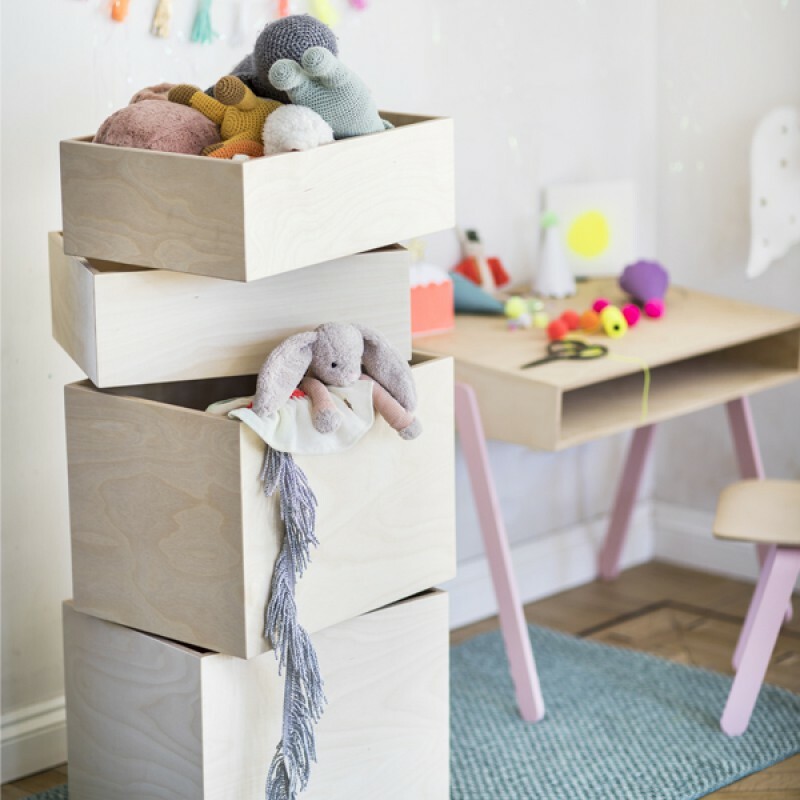 The Toy Carousel combines a good looking design and functionality. 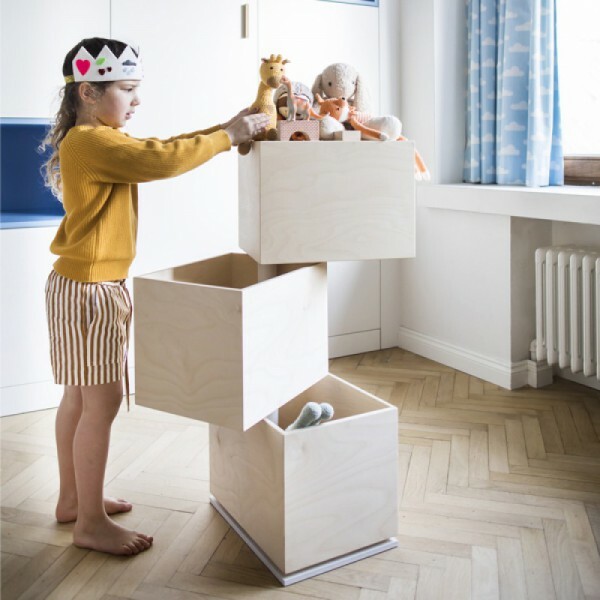 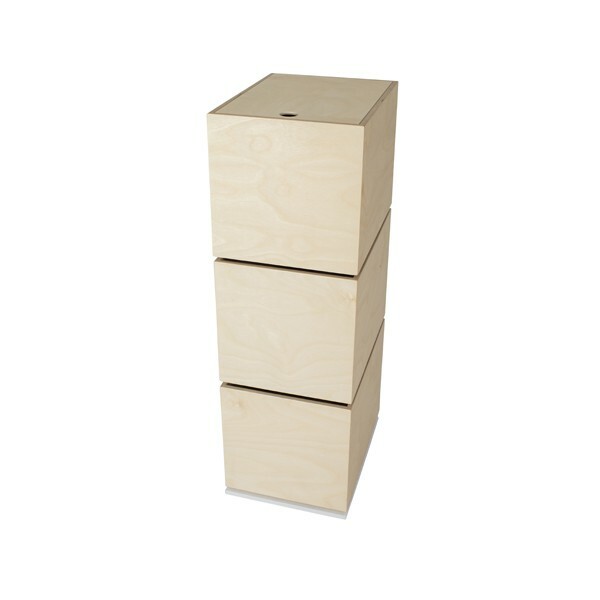 An innovative storage system with 3 storage boxes that turns like a carousel, 360 degrees. 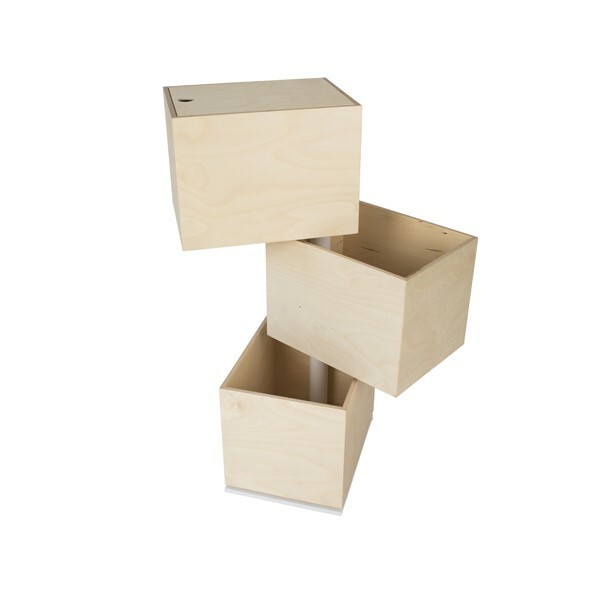 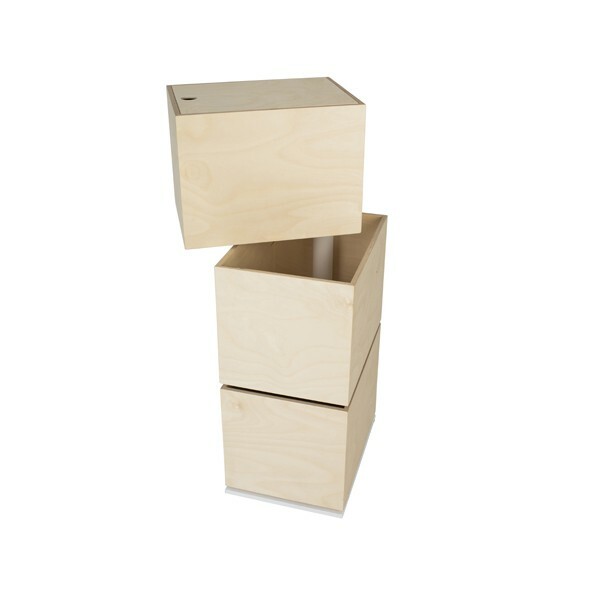 The storage boxes made out birch plywood are easy to access, even the kids will having fun to clean up their toys. The Toy Carousel is solid and has a stable construction made out lacquered steel.